A Dump Truck and Tractor-Trailer on the New Jersey Turnpike Were Involved in a Jackknife Accident - A Tractor-trailer traveling southbound on the New Jersey turnpike were involved in a jackknife accident resulting in neck and back injuries for both drivers and even an air lift ambulance. Boca Raton Settles Turtle Nesting Car Accidents For $20,000 - The City of Boca Raton has authorized two payments of $10,000 each for the victims of car accidents caused in part by the city’s decision to turn off street lights during turtle nesting season. New York Agrees to $22.5M Settlement for Settling Car Accidents Caused by Ice - New York State has agreed to pay $22.5 million to settle a long-running legal dispute over car accidents caused by vehicles ramming into each other after sliding on ice. Deceased USC Coach’s Estate Pays Out $1.3M for Car Accidents Caused by Son - The estate of the late Jim Carlen, former University of South Carolina football coach, has agreed to a settlement of $1.3 million to settle a case involving his son, who has a history of DUI car accidents. County Agrees to Settle for Car Accidents Caused by Improper Road Sign - County commissioners in Westmoreland County, PA have agreed to settle a civil case related to car accidents where an improperly placed road sign near a curve was found to be a contributing factor. NFL’s Ndamukong Suh Settles Car Accidents Lawsuit for $130,000 - Ndamukong Suh, defensive lineman for the NFL’s Detroit Lions, will not have to look around for a valid defense to tackle claims relating to car accidents. Suh, 25, and his insurer agreed to settle a million dollar car crash lawsuit for $130,000. $750K Settlement for Holway Car Accident - The family of Cambridge, MA resident and car accident victim James Holway has settled his wrongful death lawsuit for $750,000. Civil Lawsuit Filed in Florida Electric Car Accidents Case - A company that provides electric vehicles in Florida is being sued for causing car accidents. The case in question was filed by Sherry Lynn Graft of North Huntingdon, PA, and charges multiple defendants for the wrongful death of her husband Randal Graft. Coeur d'Alene Car Chase Accident Lawsuit Settled - On the evening of Sept 12, 2010, Ryan Reinhardt, Devon Austin and Jessica Duran were having fun at a party, unaware that they were soon to join the statistics of car accidents that happen for no good reason. Off-Duty State Trooper is Involved in Hit-and-Run Accident - David Lambert Bertholf, a 48-year-old state trooper, was off-duty when he supposedly hit a car and fled as traffic slowed on eastbound state Route 16 near Union Avenue, according to State Patrol spokesman Capt. Rob Huss. CT Multiple Car Accidents Pile-Up Victims Get $6.72M Jury Award - A pile-up of a series of truck and car accidents that happened in Orange, CT in 2008 culminated in a jury award of $6.72 million against one driver and the state. Car Accident Lawsuit in Rockland, Maine - A grandmother in Owls Head, Maine is being sued because her grandson got his hand severed off in a freak car accident when she was driving. Niagara Falls Learns About Perils of Car Accidents With Police Cars - On May 7, 2009, a Niagara Falls, NY police car ran into a funereal procession in the town of Tonawanda, at the Sheridan Drive and Elmwood Ave.
California Car Accident Victim Gets $4.55M Settlement from Government - Back in Jan 20, 2009, Anna Reznik, 69 and a former resident of Gilroy, CA, was driving on Hwy 101 in Monterey County when she was involved in a deadly car accident. Victims Identified in Deadly Auto Accident - Law enforcement officials have identified the two individuals fatally injured in a catastrophic two-vehicle accident on Gulf Boulevard in St. Pete Beach Friday night. Chad Jones Recovering From Terrible Car Accident - Chad Jones was a third-round draft pick for the New York Giants in April last year, getting ready to fulfill his lifelong dream of playing in the NFL. Body of Car Accident Victim Discovered - The body of a deceased driver was found recently when a second motorist’s vehicle went over the same roadside cliff but survived. 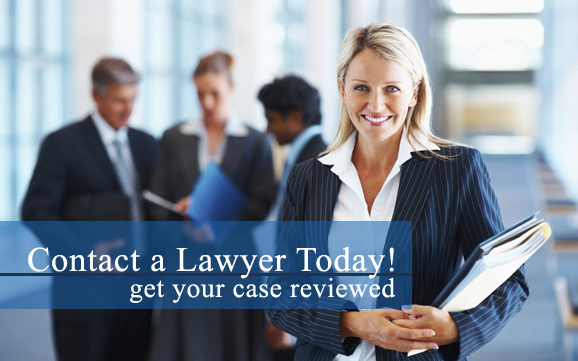 Have you been involved in a car accident and seeking legal help? If so, contact a car accident attorney in your area to discuss your legal options today.